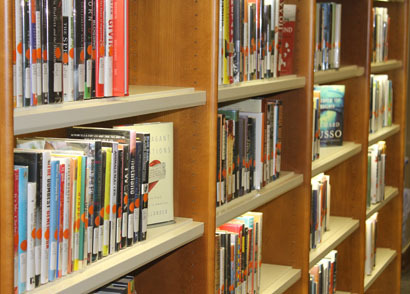 The Browsing Collection contains contemporary fiction and non-fiction titles selected to meet the recreational reading interests and enjoyment of the students, faculty, and staff. These titles are primarily from reviews in respected publications such as the New York Times Book Review, Atlantic, Harper's, and the like. This collection shall consist of paper as well as hard cover titles as identified from current or recent best sellers list as identified by Publishers Weekly, Library Journal, and New York Times. The print reference collection contains handbooks, encyclopedias, and guides to scholarship in every discipline. 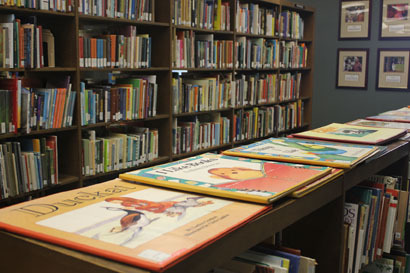 The young people’s literature collection supports our students in their study of early childhood education, elementary education, middle school education, secondary education, education of the hearing impaired, speech pathology, and English. The purpose of the collection is to help students in these programs to identify and examine works that can be effective in literature-based instruction across the curriculum at the K-12 level. The collection is not intended to be comprehensive; rather, we offer a sample of the best of children’s literature, including Caldecott and Newbery Award winners. Other well-loved classics and contemporary works of distinction may be acquired as appropriate and as funding allows. Additionally, the collection shall consist of materials in the subjects that will supplement and/or support student teachers in their classroom internships. The main circulating collection, located on the top floor of the Carmichael Library, includes over 155,000 print volumes. 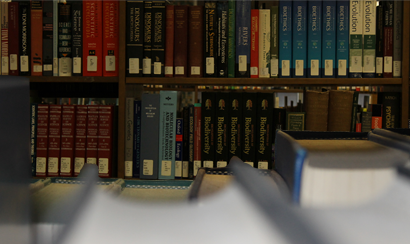 Located on the east end of the Carmichael Library main floor, the Professional Reference Collection includes titles for academic librarians. The William Cobb Collection, located on the west end of the Carmichael Library main floor, was donated in 2010. Cobb, an Alabama writer and winner of the 2007 Harper Lee Award, collected first editions of books that are signed by their authors. We always welcome suggestions about what to add to our collection. If there's a book, DVD, or other item you'd like us to consider, tell us about it in the form below.